We all know a coat of paint can spruce up a room like nothing else, but it's a pretty permanent solution. That's why we love peel-and-stick wallpaper. 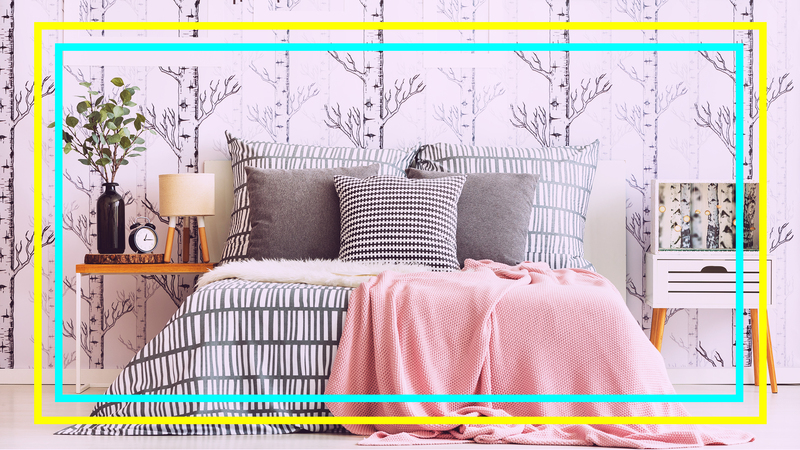 It gives you the ability to transform a room without actually changing the walls, which is great for renters or parents decorating a kid's room. 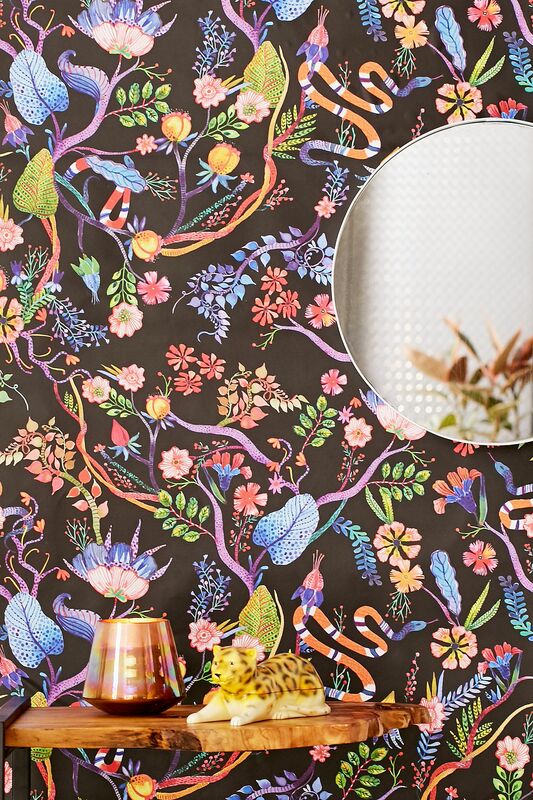 And since it isn't permanent, it's also a great way to experiment with bolder designs and patterns that would be incredibly time-consuming to paint and a little scary to glue to your wall like you would with regular wallpaper. There are many different size options and materials to choose from. Adhesive-backed fabric wallpaper gives a more textured look to your room, while peel-and-stick vinyl is a great option for bathrooms, kitchens and kids rooms, where you might need to wipe the walls down every now and then. If you aren't 100 percent sure about covering the whole wall, you can buy wallpaper tiles and frame them for some large-scale artwork that won't overwhelm your existing design. Get inspired by these modern designs, then decide how you want to change up your space. 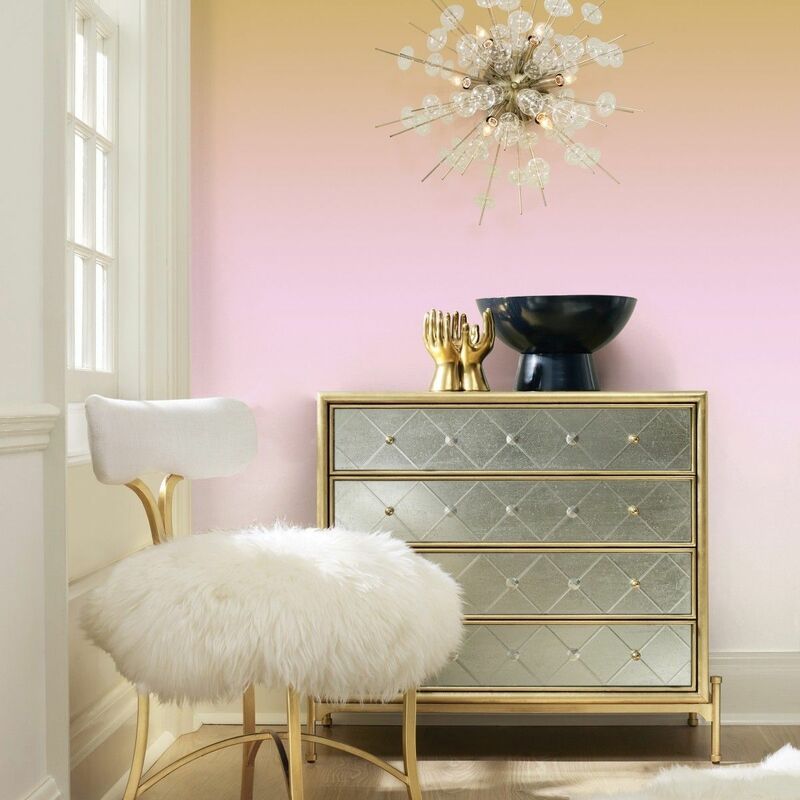 Give your home a sunset glow with this ombré wallpaper, fading from gold to pink to ivory. With a dark and moody background and a rainbow of botanical colors in the foreground, this wallpaper is half-inspired by chinoiserie, half-inspired by Alice In Wonderland. 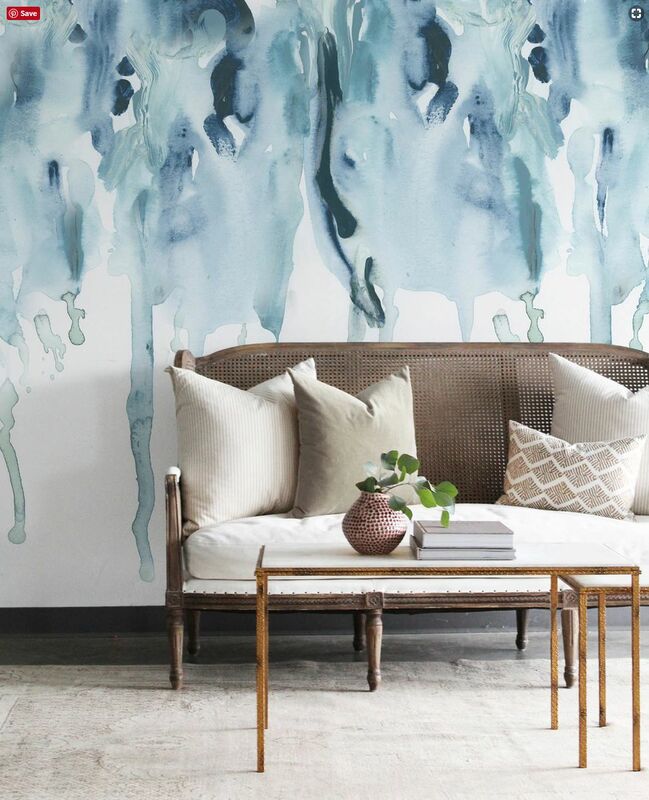 Give your room a soft and smoky look with the wash of bluish color on this watercolor cascade wall mural wallpaper. This modern take on bohemian style is great for dressing up smaller spaces like powder rooms and entryways. If you love the look of tile but can't afford the real thing, this gorgeous mermaid-hued tile wallpaper can give you the design you desire. 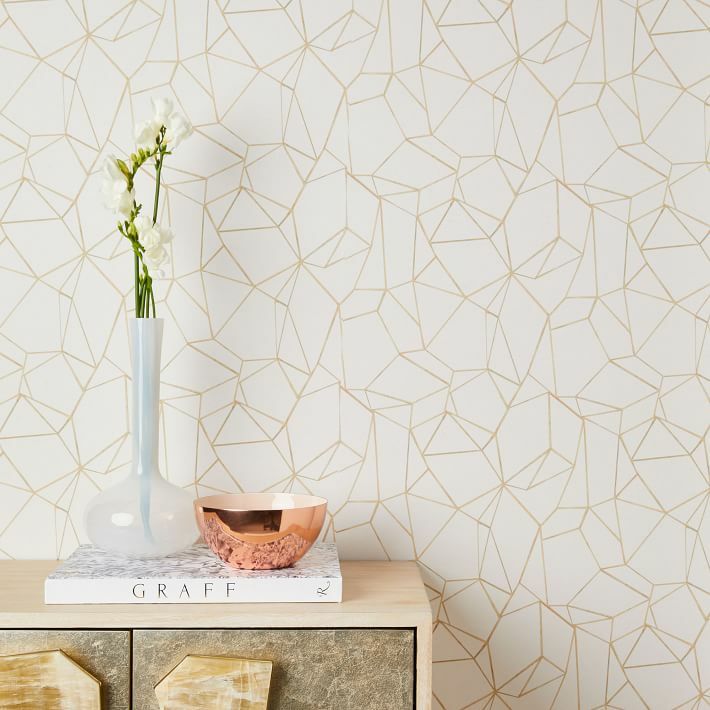 Add a subtle new look to your home with this geometric prism wallpaper. Think of it as a new neutral. 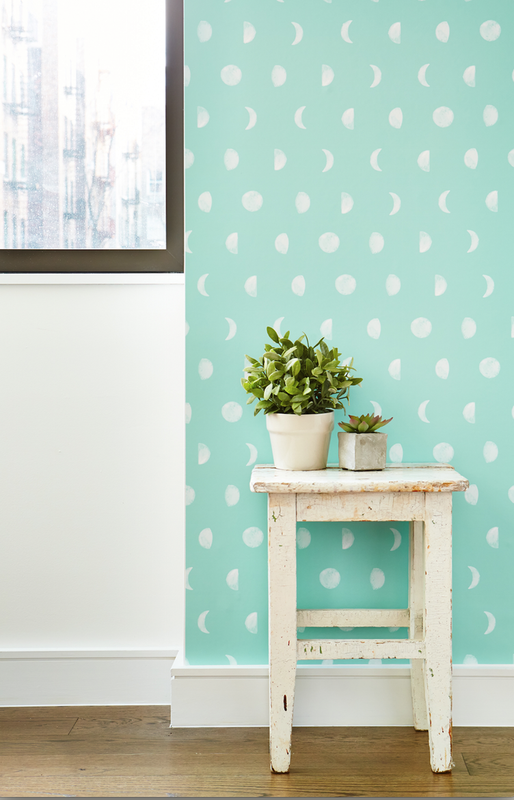 This moon wallpaper comes in aqua with white moons or white with black moons. Some trends are a little scary to try. 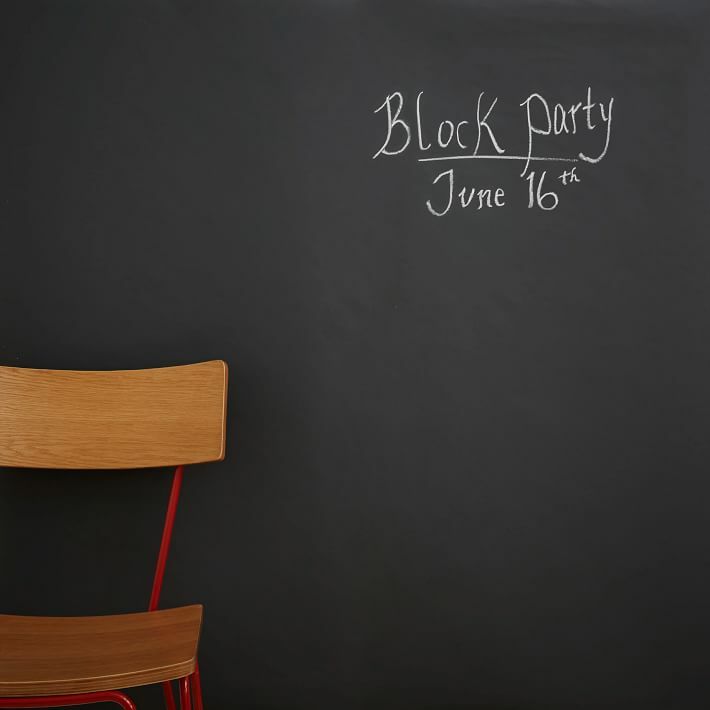 Painting your whole wall with black chalkboard paint is a pretty permanent design choice, but this removable wallpaper makes it easy to try out the trend. 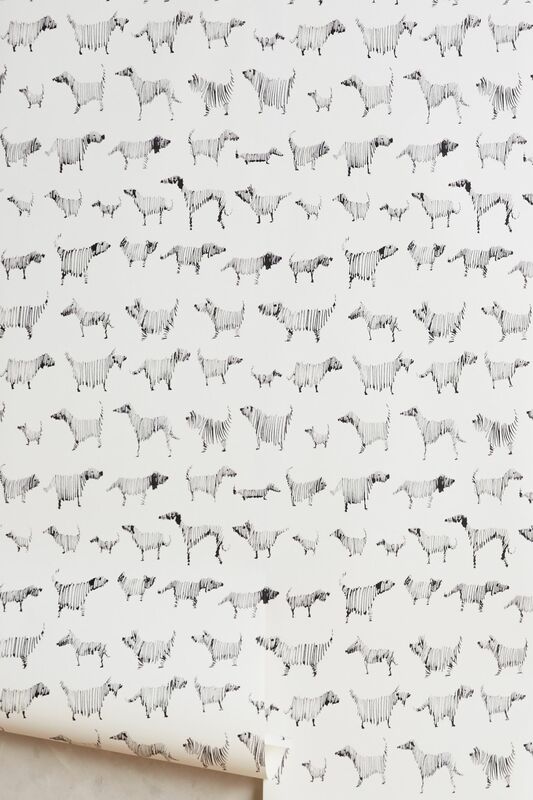 There's something stately about this quirky, abstract dog-printed wallpaper. 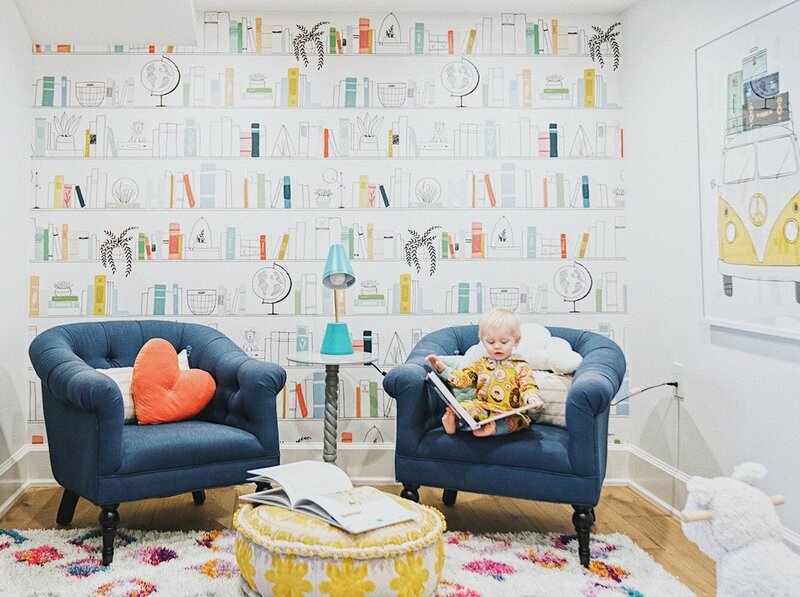 Fake the look of a luxurious library with this cute self-adhesive wall mural. It's great for kids rooms, where you don't necessarily want to deal with the topple factor of actual towering bookcases. 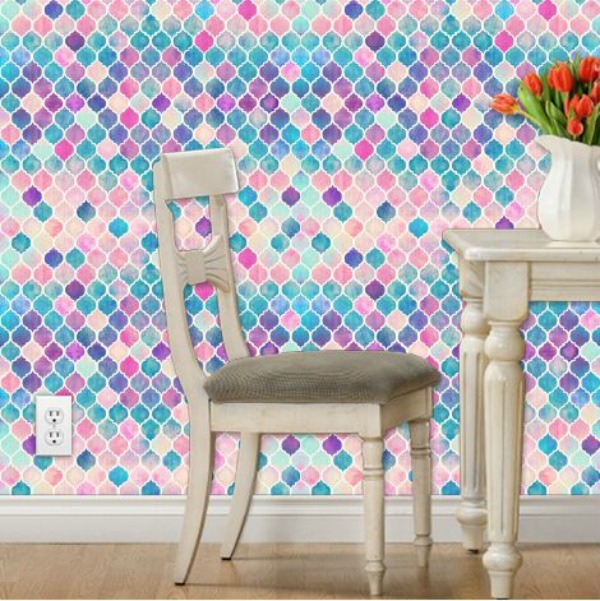 You can find thousands of wallpaper designs at Spoonflower. 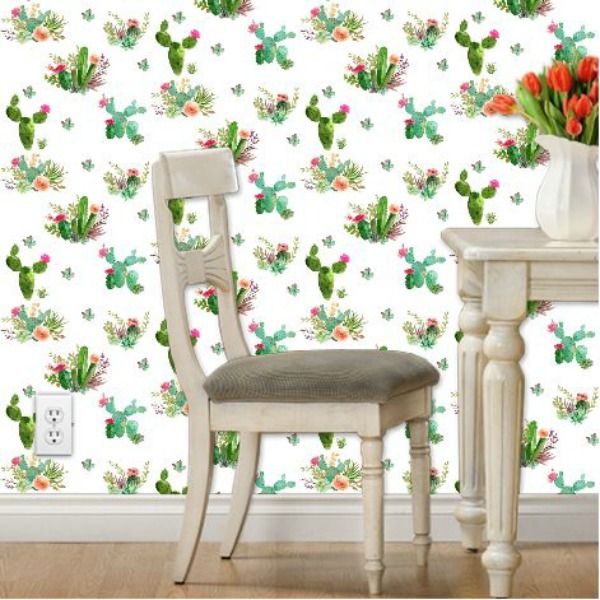 We like this modern floral design featuring trendy cacti.